101 is a space within space, a 40-sq.m. room sitting quietly behind display stands in a trade center. 101 is both isolated and integrated at the same time, like an island where guests are comfortably secluded, but still remain part of a busy life around them. To create such connection between 101 bar and the world outside, we removed one of its walls and replaced it with glass. 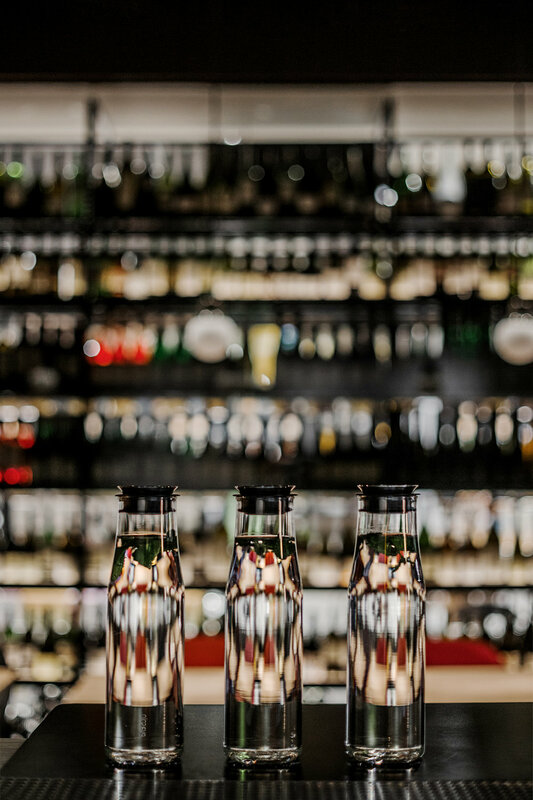 This transparent glass wall, together with the key element of the interior – a warmly lit, open-back shelving unit for wine bottles – provide a ‘communication channel’ between the bar and the trade center. A massive door serves as a portal that separates two worlds where time flies at different speeds. Once you cross the threshold, the lights dim, the sounds abate, and time seems to slow down.